DCC wishes to announce that Steve Chesworth shall retire as Managing Director of Fuel Card Services (FCS) at the end of March. DCC also wishes to announce that Denise Frost, Commercial Director of FCS, will be appointed Managing Director of FCS from the 1st April. I wish to thank Steve for his huge contribution to FCS over the last 12 years following the acquisition of Carlton Fuels in 2006. Steve has been instrumental in building the strong sales culture, which has resulted in the growth of the business to over 1 billion litres, this track record is even more impressive, as the growth has been achieved mainly in an organic way, through a constant focus on innovation and customer service. 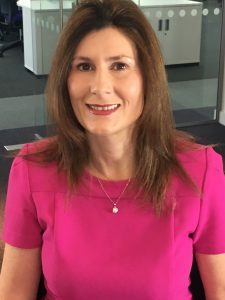 As most of you know, Denise has considerable experience in the fuel card business having built FCS together with Steve over the past 12 years in DCC, growing and developing the business through organic sales and innovation. We are confident that under Denise’s leadership the experienced management and employees of FCS shall continue the development and growth of the business for the long term. I am sure you will join me in wishing Denise every success as she takes over the leadership of FCS and wish Steve the very best in his retirement.